I love having a verse to memorize each week. It keeps me accountable. Hopefully, you feel the same way. I encourage you to memorize scripture with us. It's life changing. Today, no lengthy post, just God's Word. 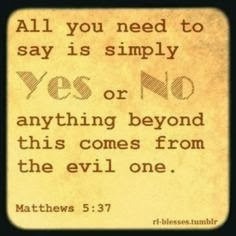 anything beyond this comes from the evil one. It's a brand new month...February. Make this month your starting point on memorizing scripture. Write it down on a notecard or somewhere you will see it daily. Do you have a creative way to memorize scripture?? Email me at shinegirlsshine@gmail.com and tell me or show me in a picture! I would love to know! Lord, bless our SHINE sisters. Draw their precious hearts close to You today. Give them strength to face a new week and all that You have in store for them. Let their lights shine bright for You, Jesus. Give them favor wherever they go. Direct and order their steps, and lead them down the path You have prepared for them. Help us to be disciplined, and self-controlled. Give us the desire to read Your Word and memorize it. We love You. In Jesus Name, Amen. *Follow along with us in our daily reading plan. You can find it here.